Porcelain tile installation is a great option when you’re thinking of redesigning a space, like a room in your home or your office. It’s important to know that porcelain tiles installation has an almost infinite amount of various colours, shapes and sizes that can be used together to create a truly unique and beautiful atmosphere. Porcelain tile is a staple for interior decorators because of how much it lends itself to creative expression. However, porcelain tiles are not only gorgeous medium to build with, those also have extremely durable qualities that make it a very practical building material as well. And we’d like to go over eleven of those qualities with you today. Durability – Compared to other popular materials used to make floors and walls, porcelain tile has a significantly longer lifespan. Fire resistant – Porcelain tiles are fireproof. It won’t burn, produce smoke or any toxic fumes. Moisture resistant – Perfect for bathrooms or other areas that come into contact with water, porcelain tile has a less than 0.5% moisture absorption rate. Treadwear and abrasion resistant – Porcelain tile’s durability makes it an excellent choice for floors that see a great deal of foot traffic and daily wear and tear. 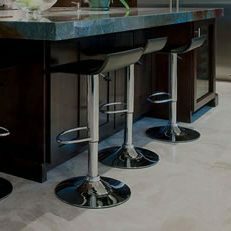 Slip-resistant – Porcelain tiles surfaces are often made with a glaze that includes an abrasive grit. These tiles add significant traction to avoid slips and falls. Frost resistant – Because of their durability, porcelain tiles installation is also perfect for exterior uses and can withstand the harsh elements of the winter season. Thermal shock resistant – Properly installed, a porcelain tile floor will not buckle or break during extreme temperatures. 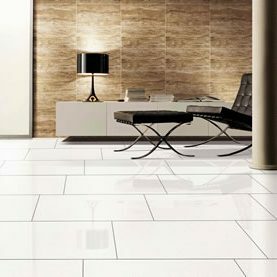 Easy to maintain and stain resistant – Keeping a porcelain tile floor clean merely requires a bit of sweeping and mopping. Chemical resistant – Common household products that contain harsh chemical agents won’t damage or stain these tiles. Maintains colour – Porcelain doesn’t fade or change colour even when exposed to direct sunlight for extended periods of time. So, porcelain is a great option for outdoor structures installation. Sanitary – Porcelain tiles are also very hygienic, so is regularly recommended for use in places where sanitary standards are of extreme importance.